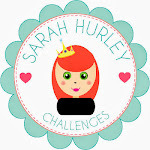 Sarah Hurley 365 (Formerly Sarah Hurley Challenges): Birthday Affirmations! Hi all, It is Nicole here with you today! 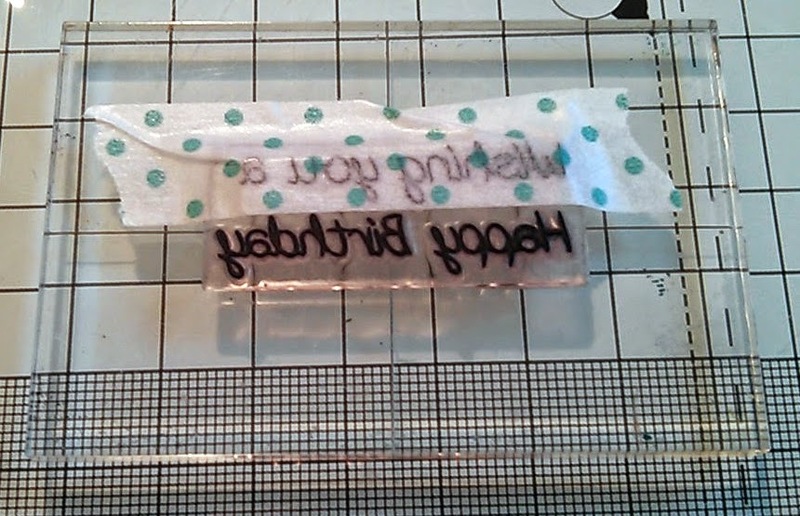 Christmas has been and gone and so has New Years so it is back in to the swing of regular crafting for me! I wanted to make a birthday card with a bit of a difference. 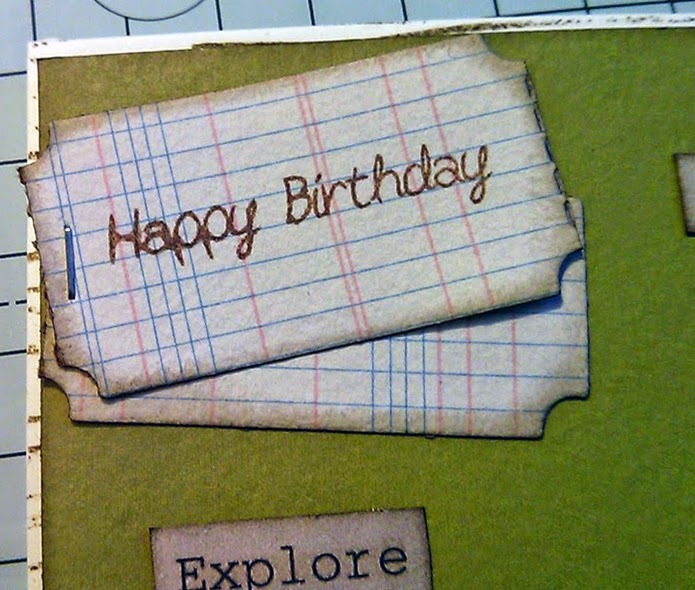 I used one of Sarah's journalling cards as my patterned paper base to make a card with a bit more of a message than just happy birthday. 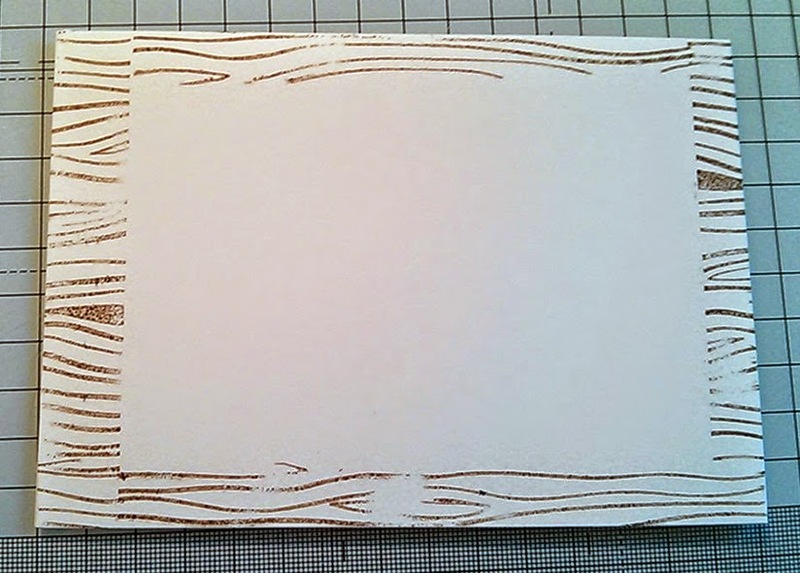 I started with the Sarah Hurley wood grain background texture stamp which you can find here. 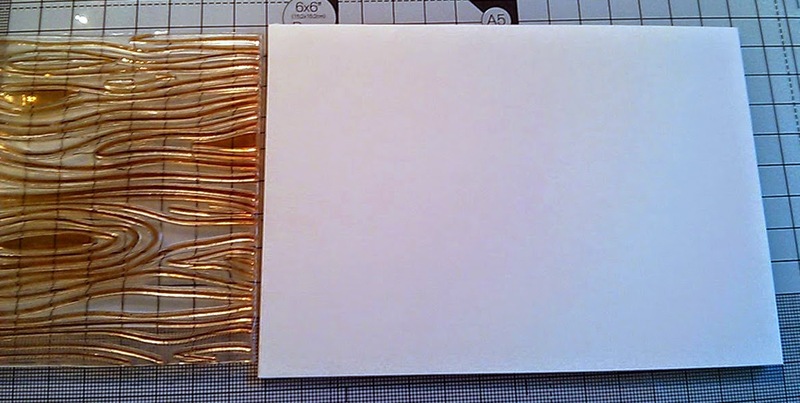 I used this to add a surround to the edge of a card blank so that it was not plain around the edges of my journalling card. I die cut a ticket from some Sarah Hurley note paper and stamped a stamp from the Sarah Hurley sentiment stamp set that you can find here. 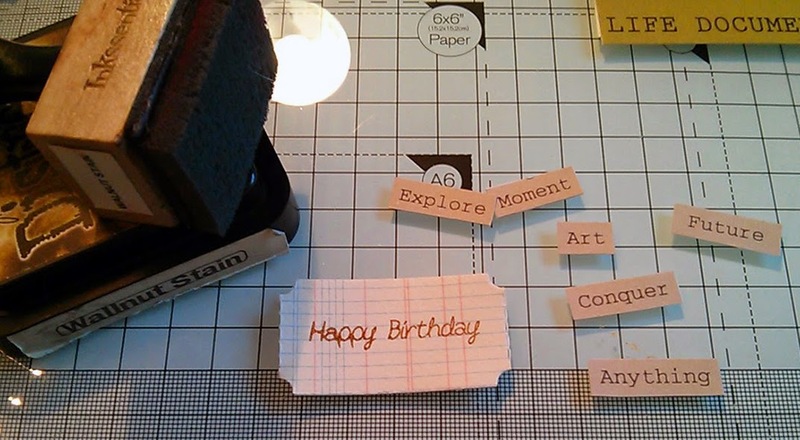 I masked off the sentiment so that I just had the happy birthday part. I just used some washi tape for this. I cut out some affirming and empowering words from one of Sara's kits and inked up the edges of these and the ticked with walnut stain distress ink. 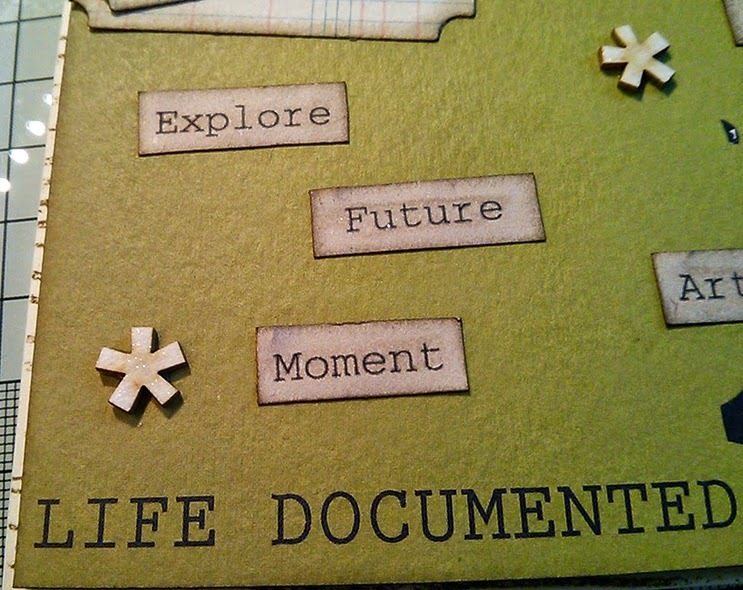 I adhered the journaling card down and then glued all the words and tickets down. I added some stars down also. 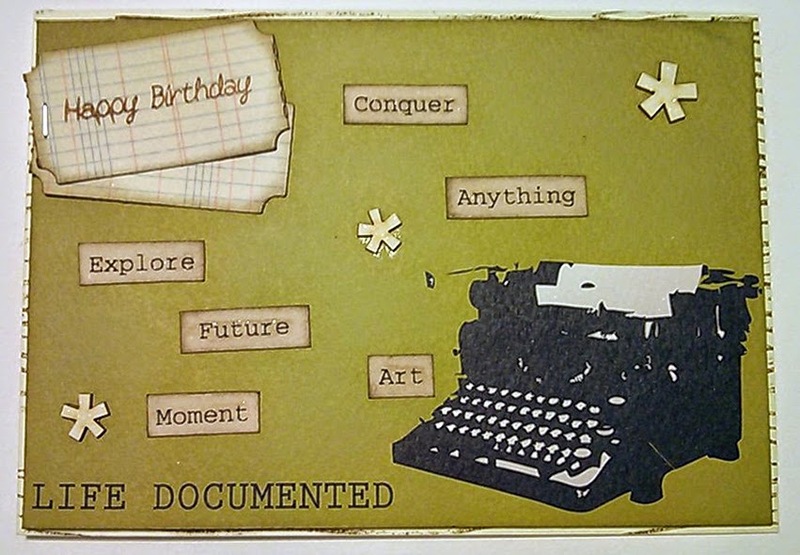 This card is perfect for the person who got it - someone who does a lot of documenting and loves typewriters, as well as it being their birthday. I really love getting to use up supplies in lots of different ways!